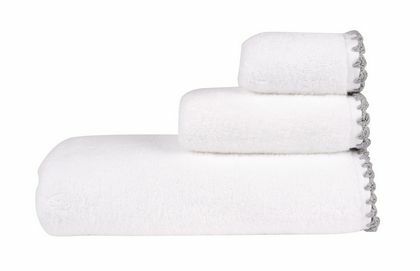 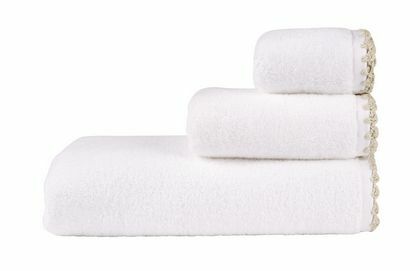 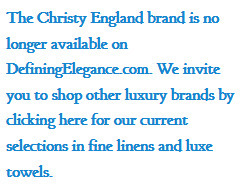 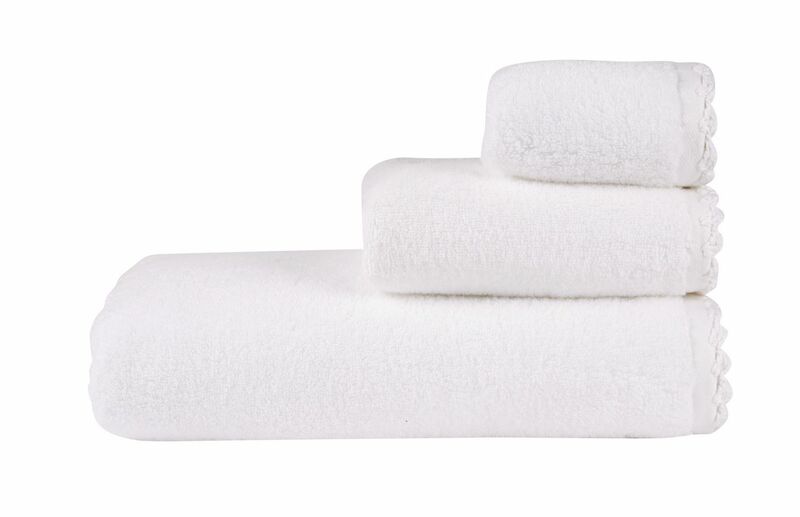 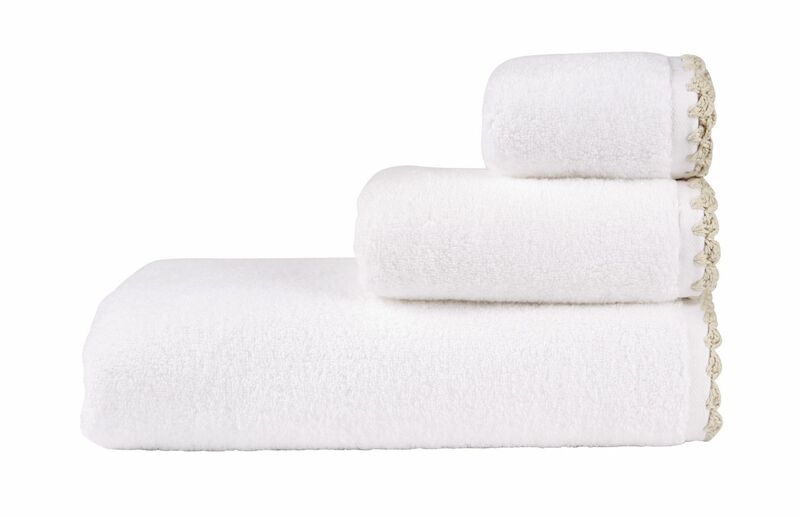 The Harlington towel collection provides a unique and distinctive addition to your bathroom. 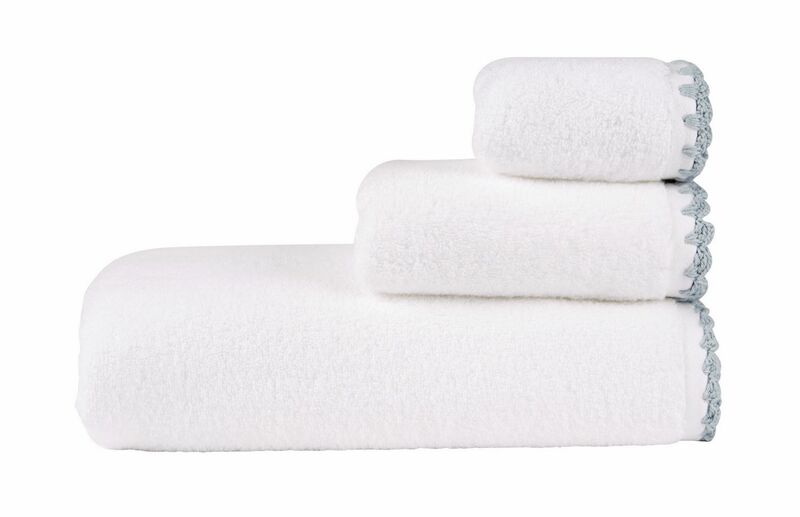 The super soft zero twist cotton provides a highly absorbent surface while the intricate crochet trim, made from mercerized cotton offers a striking handmade appearance. 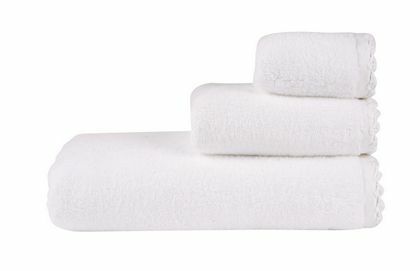 500 GSM 100% zero twist cotton pile with crochet edge. White, White/Neutral, White/Silver and White/Sky Blue.